We’re through the first week of December and Leeds United still have the same manager at the helm as they did in August – that tells you all you need to know about how well Leeds are faring under Garry Monk. 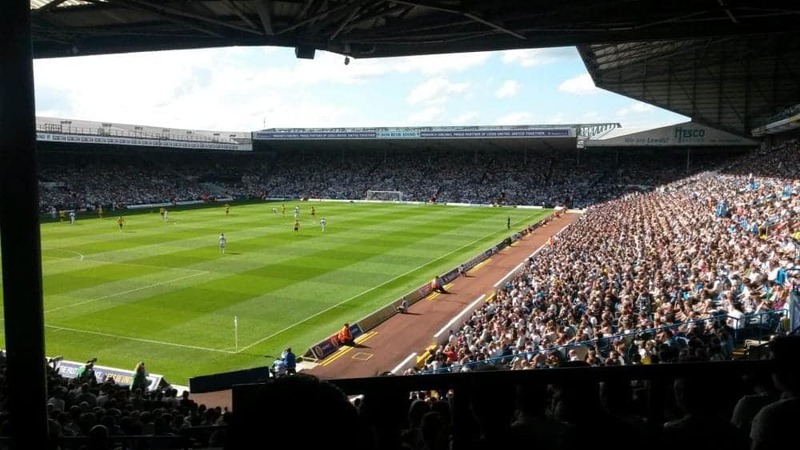 The form of the side at Elland Road in recent years has been appalling, but pride is returning along with the buzz around the old stadium. It’s not quite witnessing a Revie-esque revival just yet, but the performances, and the fans, are returning. Of Leeds’s 10 Championship wins this season, five have come at home, casting aside the horrors of the previous two seasons when playing at Elland Road had become a hindrance to the side. Monk has instilled some solidity to the side with shrewd acquisitions and an evolving tactical plan. His early forays into getting Leeds playing a higher tempo pressing game nearly ended in his sacking. He unwound that to a certain extent, understanding the need to put results front and centre. The revolution started at the back. Summer signings Kyle Bartley and Pontus Jansson have been instrumental in the upswing in fortunes. It has been a very long time since Leeds had a defence that looked even remotely sturdy. The two loan signings, from Swansea and Torino respectively, have gelled quickly and are erasing the recent memories of Giuseppe Bellusci and Sol Bamba. Rob Green in goal, whilst still capable of moments of utter horror (see Dwight Gayle’s first goal for Newcastle in their recent 2-0 win) has helped to bring a sense of calm about Leeds’s defensive work and is a notable upgrade on Marco Silvestri, albeit that the Italian is a fine shot stopper, devoid of any command of his area. At right back Luke Ayling has been quietly efficient and can be classified as ‘brilliant’ courtesy of simply not being Scott Wooton. This defensive overhaul has left Leeds United, after 16 games, with the fifth best defensive record in the Championship having conceded just 20 goals. I’d have openly questioned your wellbeing had you suggested that even five months ago. For this, Monk deserves enormous credit; succeeding where a procession of managers before him have failed. The rest of his signings have also improved the side. Kemar Roofe, the 2015/16 League Two player of the year, has taken a little time, understandably, to adjust to playing at a higher level, but he’s starting to influence games with his creativity and pace. Likewise, Hadi Sacko has turned in some impressive performances, even if his finishing leaves a lot to be desired. When Chris Wood is banging them in, though, that matters little. The big New Zealander has had an injury truncated time until this season at Elland Road, but given a run in the side and some fortune with his fitness, he has shown why Leeds parted with £3m for him at the beginning of last season. A laughing stock at points last season, he is winning round the fans who have openly derided him. There is also good squad depth at Monk’s disposal, too. A wretched run of injuries has seen him without club captain Liam Bridcutt, as well as Eunan O’Kane and Pablo Hernandez, all summer arrivals, through injury recently. This has meant a reliance on youth that is paying dividends. In central midfield Kalvin Philips looks capable of developing into a decent player with a good set piece delivery on him and teenager Ronaldo Vieira also looks destined for big things. Key performers from last season, such as Toumani Diagouraga, Luke Murphy and Alex Mowatt have rarely featured, either. Stuart Dallas and Souleymane Doukara appear to be working their way back into Monk’s plans and the competition for places looks healthy. Now that results have been turned around, performances are starting to pick up, too. Whilst Leeds don’t look like a side that will score four or five a game, they no longer look like a team that will concede four or a five a game, either. Patient approach play and tactical solidity have been the foundations of Leeds’s recent form. This has enabled them to eke out results – they have only scored in both halves of a game once this season, equal lowest in the division with Cardiff City. Indeed, 0-0 is their most common score-line at halftime and 74% of their goals have come in the second half, with an average first goal time of 64mins.